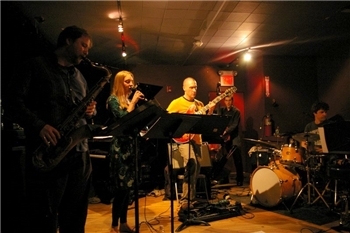 The six piece ensemble Rhombus fuses intricate compositions with bold collective improvisations. Their music draws on a vast array of influences, fusing the sonorities of modern jazz, the rhythmic complexities of Balkan music, and the energy of rock, with the experimentation of avant-garde improvisation, and the thematic development of classical music. 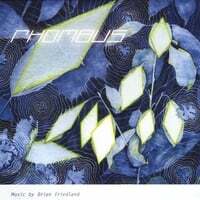 Since its inception, Rhombus has released an album of original music and performed over 30 new works in Boston area jazz clubs (Ryles, Lily Pad) coffeehouses (Luna Cafe), and neighborhood bars (Midway Cafe, Savant Project). Rhombus has also played outside of Boston at with performances at Goodbye Blue Monday in New York and The Barley Pub in Dover, New Hampshire. Rhombus vocalist Aubrey Johnson, saxophonist Sean Berry, guitarist Phil Sargent, bassist Greg Loughman, and drummer Mike Connors have performed with a long list of jazz luminaries and have many critically acclaimed recordings to their names.